If you zoom in to the map of the United States, specifically to the top right corner under Lake Ontario, you will notice a region striped with thin, long lakes. If you have an active imagination, you might also notice that they look like thin, long fingers. Welcome to the Finger Lakes, formed from glaciers two million years ago, (some) deeper than sea level, and as a collection, named after a crucial part of the human anatomy. 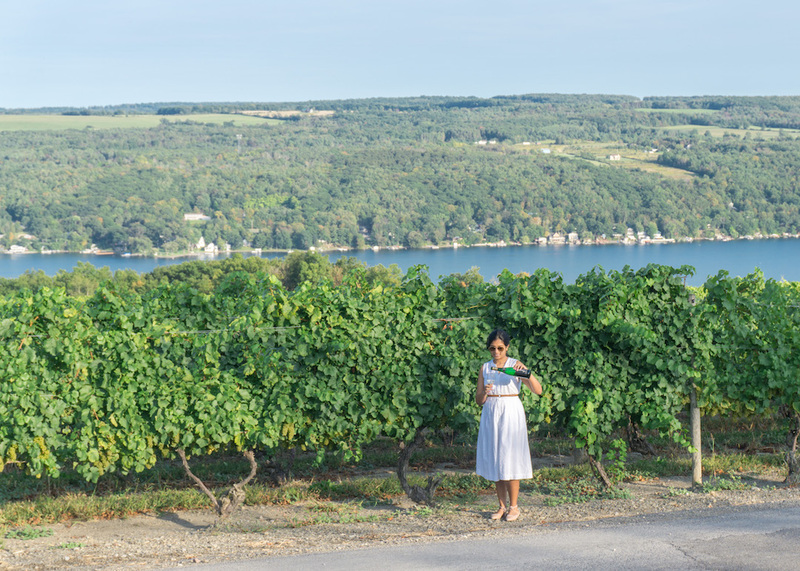 The Finger Lakes region is perfect for growing grapes – the lakes create a microclimate that is not too cold in the winter, but has warm breezes in the summer to ripen the grapes. After Dr. Konstantin Frank proved that the European vinifera varieties could thrive in colder upstate New York, the region has perfected the art of making dry rieslings. If you shudder at any mention of Riesling, fear not, the Finger Lakes dry Rieslings are pleasant and err more toward dry than sweet. 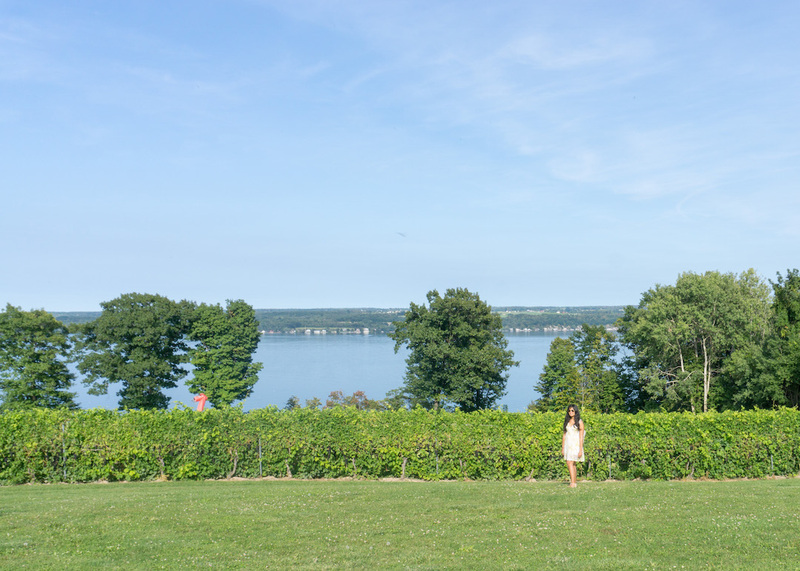 Most wine regions could be categorized as romantic, but the beauty of the Finger Lakes comes from the lovely lakes that are the backdrop of the vineyards, and the laid back casual vibe. A lot of the tastings are free, and buying a good bottle for an impromptu picnic would not set you back very much. With eleven lakes to choose from, all blue and welcoming – the Finger Lakes is a must for any lake lover. 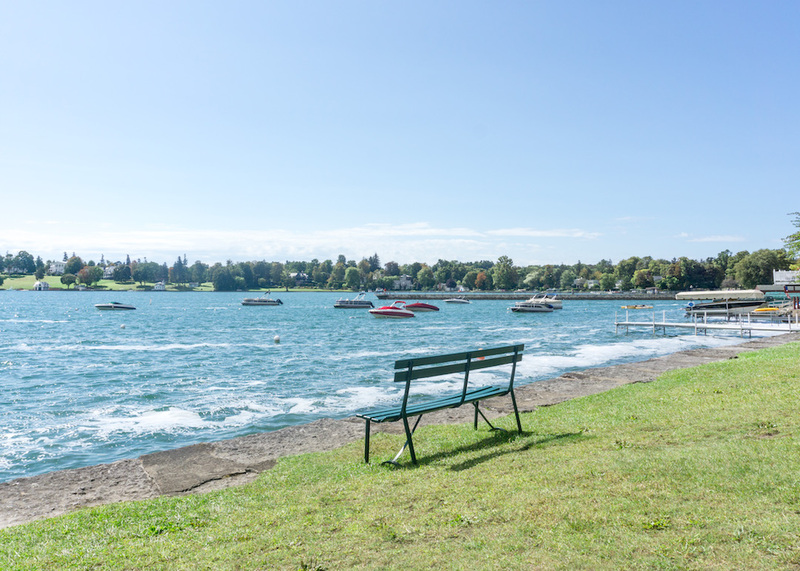 Lake Skaneateles was particularly glistening on a sunny afternoon while we drove by to lunch. The lakes all offer fun activities such as boating and kayaking in the summer, and beautiful vistas all year round. 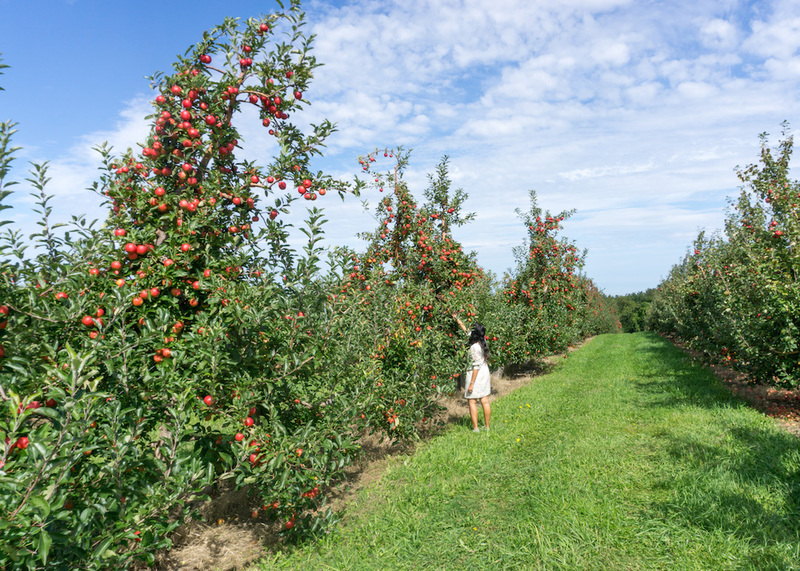 Grapes are delicious, but apples shouldn’t be left behind, and the Finger Lakes has some gorgeous orchards. We went apple picking at Beak and Skiff, with the bonus of tasting freshly made apple cider at their onsite distillery. Their apple donuts are also delicious! What could be more romantic than a picnic at an apple orchard, far from the maddening crowd, with a bottle of cider to top it off? 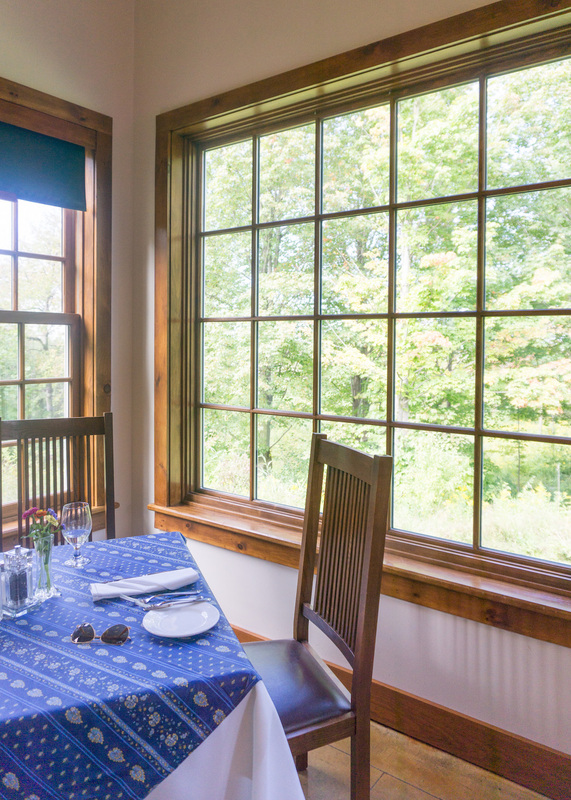 Fresh food is the best food, and Elderberry Pond Restaurant will serve you just that. Their ingredients come fresh from their farm, and the chef makes sure they taste amazing. As a bonus – the ambience is lovely too. Perfect for a romantic lunch or dinner date! 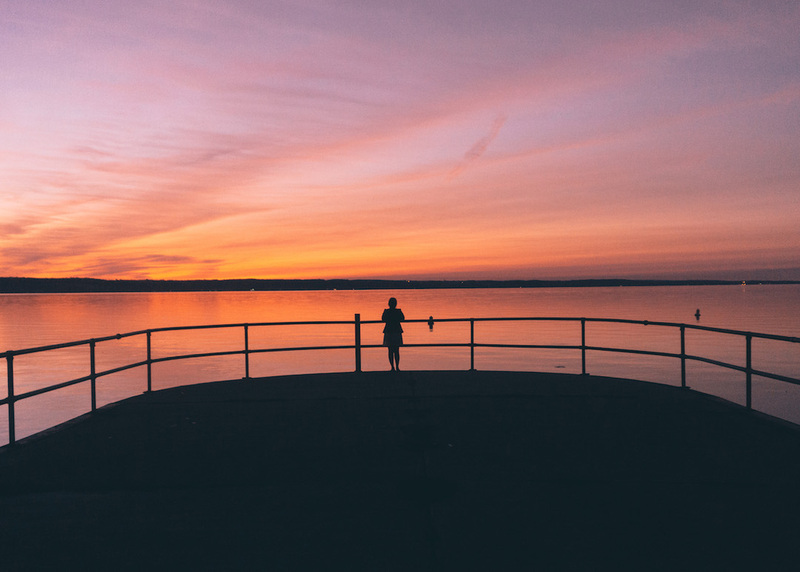 The Sunsets in the Finger Lakes, especially over Seneca Lake are a destination unto themselves. The best part? It’s relatively unknown, so you might get them all to yourself! We were the only ones around to soak in this sunset, so we felt the calmness descend on us completely. Definitely recommend you try this one for yourself! Are you convinced you want to plan a Finger Lakes Getaway? In my next post, I’ll have details on how to plan a perfect trip, including where to stay, what to eat, and the best wineries to visit! In the meantime, pin these images to help plan your next romantic getaway! They are so much more gorgeous in person, hope you get to visit sometime! Yes!! Hope you get to, it was magical! I’m from New York & I’ve never been, but after reading this post & seeing these photos I think I have to change that. Lovely post and extremely beautiful place. The sunset, apple orchards, crystal clear water are so magnetic. I will look for finger lakes on the map as I plan to go to ontario. you click awesome photos. keep writing and keep sharing! Yes, hope you have an amazing time!! My favorite spot in the Finger Lakes is Watkins Glen. It’s a mystical place. You listed some amazing things, but this one should be on your list too! We didn’t have enough time to spend in Watkins Glen (and did not even know much about it!). Thanks for the tip! Will have to head back sometime now! I love the Finger Lakes! I had a tasting at Dr Franks too! It was so good! And it is so beautiful there. Omg yess!! Dr. Frank’s winery is one of my all time faves, because they explain everything so well! I could really see the passion for wine and winemaking there, and of course, the wines were wonderful! I used to go to school near here! This region is so wonderful. Your photos have me nostalgic! I agree, the region is wonderful! 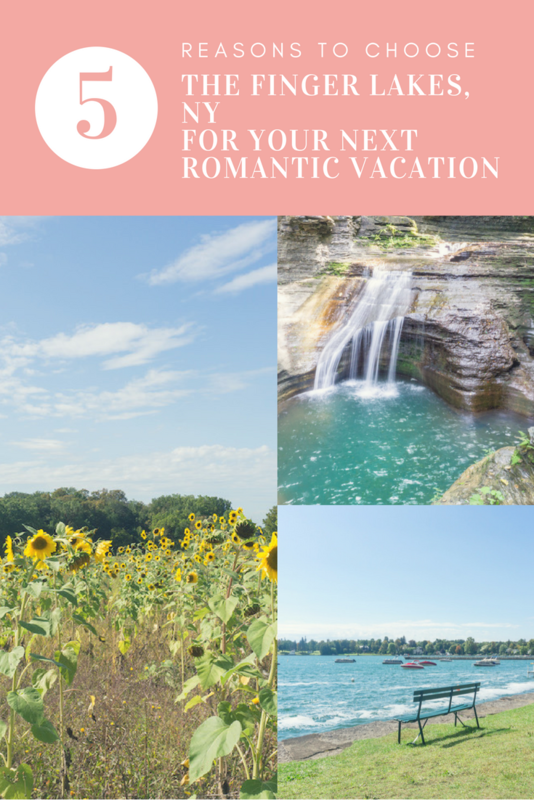 The sight of finger lakes on the map is enticing enough to visit and after reading this post you’ve pushed it towards the top of my bucket list! 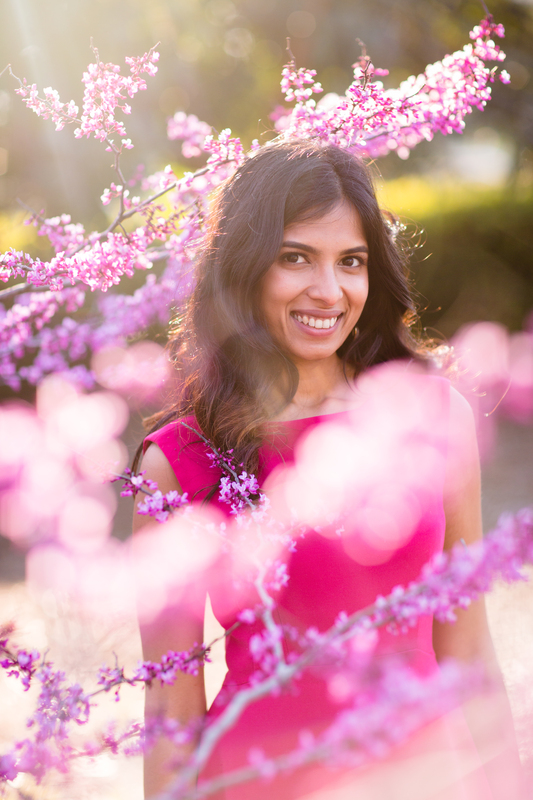 Wineries, apple orchards and such incredibly stunning sunsets…I am sold! Hope you have a wonderful visit when you go! This area is so up my alley! Wow! I just can’t get over how beautiful and peaceful it looks! I’ll definitely have to visit when we eventually make it back to the States. Yes!! It’s an amazing place for a relaxing, refreshing weekend! What a lovely place! Your photos are gorgeous, I would love to visit. 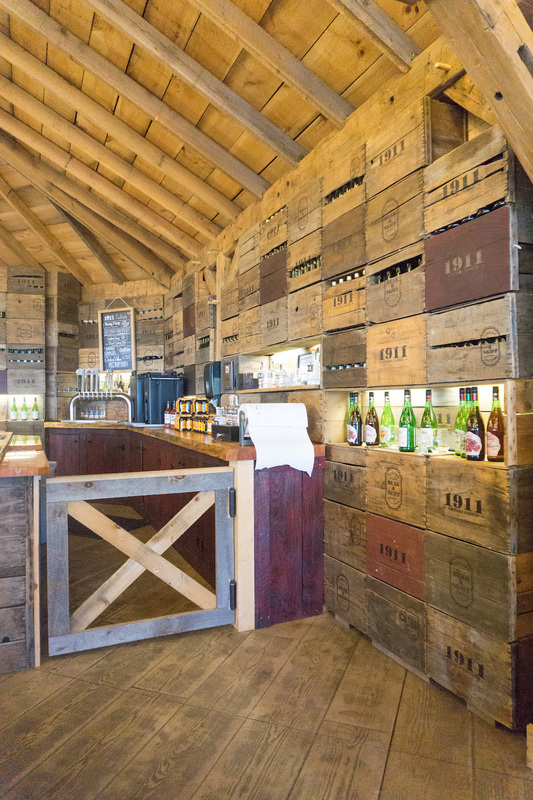 Also major home inspo – those boxes stacked up to make the counter tops in the bar are awesome! Aww thank you!!! Hahah, I know right! I wish we could real-time pin things we see in real life! It certainly looks like the slow and lovely life out in the Finger Lakes. I had no idea there were wineries out there! Looks like I need to add this place to my list of places to visit for down time! Yes, it’s the perfect escape weekend! omg the sunset part is definetely in my to-go-list before die!!!!!! thankyou for sharing! You’re welcome!! It’s one of the most gorgeous sunsets I’ve seen!! I’ve never heard of the Finger Lakes Region, but it looks beautiful! I’ve added this to my ever growing list of places I need to visit in the US. I moved to Boston from Australia a year ago, and there definitely won’t be enough time for me to see everything I want before I move back home! Wow, that sunset in the last photo is so pretty! I love it when there’s not another person in sight and I can get the whole area to myself! Is that selfish?? haha. 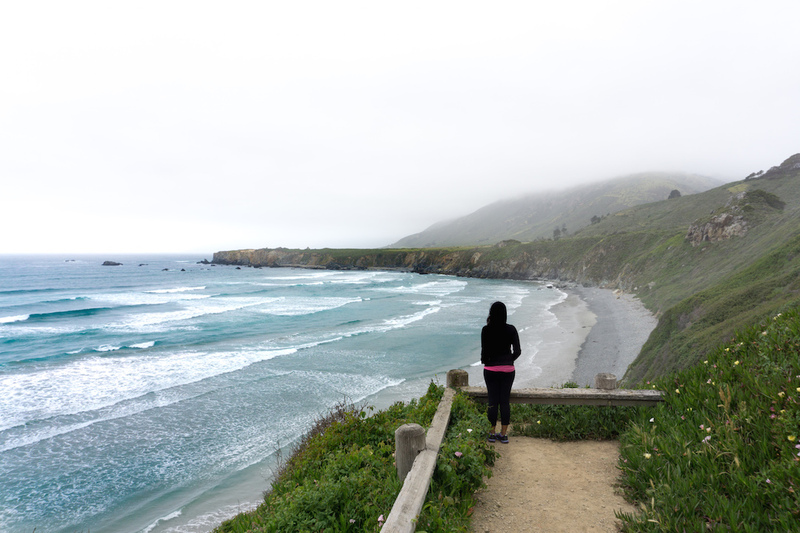 This place is so picturesque, breathtaking, and definitely worth visiting! When’s the best time of the year to spend a couple of days there? Hi Agness! So happy you are planning to visit! We went in the second week of September, and that was the perfect time because the weather was still nice but we avoided the summer crowds. I think Fall is also very beautiful there, so maybe late Sept / early Oct on the weekdays would be great too!